Windsor Castle has been home to the Royal Family for over 900 years and is still the official residences of the Queen. Visit the luxurious State Apartments, stroll through St. George's Chapel, one of the most beautiful examples of medieval church architecture in England. Make your way to the ancient stone circle of Stonehenge. Learn about the historical, archaeological and spiritual importance of the UNESCO World Heritage Site. Head to the Bath Abbey, the Royal Crescent, and the famous Pulteney Bridge. Tour the beguiling Bath, believed to have special healing properties and attracted visitors from across the Roman Empire. Head to Windsor Castle, home to the Royal Family for over 900 years and is still an official residence of the Queen. Visit the luxurious State Apartments, stroll through St. George's Chapel, one of the most beautiful examples of medieval church architecture in England. Make your way to the ancient stone circle of Stonehenge and discover its historical, archaeological and spiritual importance. Learn about the UNESCO World Heritage Site from your informative guide. Step back in time and explore the ancient city at your own pace. Take out your camera for gorgeous photos of the centuries-old structures around Bath. Infants (ages 0-2) may participate for free but will not have a seat on coach. Luggage is allowed and will be stored on the coach. 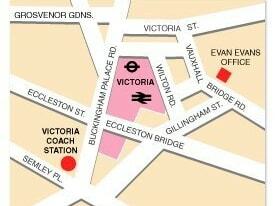 There is also a luggage storage facility at Victoria Coach Station. Upon arrival at Victoria Coach Station, please check your departure gate at Evan Evans Tours check-in desk (opposite to Gate 1). The Changing of the Guard at Windsor Castle takes place every day from April to September and every other day from August to March. Viewing at Windsor Castle is restricted on Sundays. When a site is closed, the tour will continue to a different location instead. • Windsor Castle - To be substituted with a guided walking tour of Windsor and free time to explore the market town. • The State Apartments - You will still be able to visit the Windsor Castle except this area. Due to the summer solstice, the tour will visit the stone circle at Avebury instead of Stonehenge on June 20 and 21, 2019. Great Day ! Great Tour ! Well worth the money, we had little time to see as much as we could and this tour gave us a great experince to see the Best of London ! !